Jenny is a friendly and passionate physiotherapist with a complete injury management philosophy and a focus on helping you achieve recovery in the shortest time possible. Jenny graduated from La Trobe University, Melbourne, with a Bachelor of Physiotherapy in 2008 and commenced her career in private practice and rehabilitation centres, working across several Melbourne clinics. These experiences provided Jenny with the opportunity to develop and enhance her diagnostic and manual treatment skills. 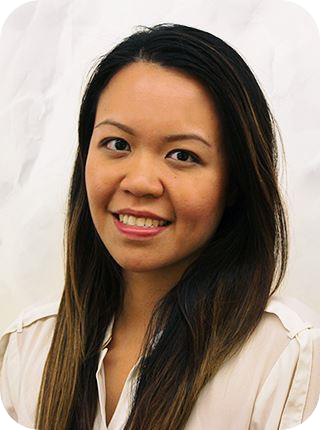 Jenny has a strong belief in accurate and thorough diagnosis, hands-on treatment and exercise prescription. Jenny is also a certified Clinical Pilates instructor having completed her training with DMA and APPI. Her ongoing commitment to professional development enables her to provide clinical excellence. Throughout her career Jenny has worked in several sports-based physiotherapy clinics where she specialised in musculoskeletal injuries and developed close relations to Melbourne’s leading surgeons and sports physicians. Her multi-clinic experience has enabled her to gain vast knowledge and expertise in the management of complex injuries. As an exercise-enthusiast and runner, she has a deep appreciation of the demands placed on athletes and can readily relate to the demands of your sport. In her spare time she keeps fit with a combination of running, Clinical Pilates and yoga. Jenny is a full member of the Australian Physiotherapy Association (APA), thus binding her to the APA’s position on ethical guidelines and professional code of conduct. The APA exists to improve the health of Australians by supporting best-practice physiotherapy. Jenny is fluent in Vietnamese.